Washington : A new study finds that altering the shape of a protein can significantly reduce the progression of inflammatory bowel disease and colon cancer. According to researchers, modifying the shape of IRAK-M, a protein that controls inflammation, can significantly reduce the clinical progression of both diseases in pre-clinical animal models. The findings appeared in the eBioMedicine journal. “When we tested mice with the altered IRAK-M protein, they had less inflammation overall and remarkably less cancer,” said Coy Allen from the Virginia-Maryland College of Veterinary Medicine. The altered protein causes the immune system to become supercharged, clearing out the bacteria before they can do any damage. 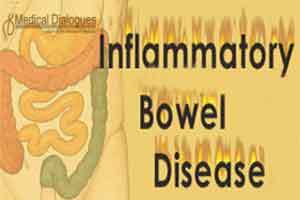 There is an intimate link between uncontrolled inflammation in the gut associated with inflammatory bowel disease and the eventual development of colon cancer. “From a scientist’s perspective, that’s what it’s all about, and hopefully our findings provide a good avenue for development of future therapeutics to treat maladies such as inflammatory bowel disease and colon cancer,” the authors concluded.